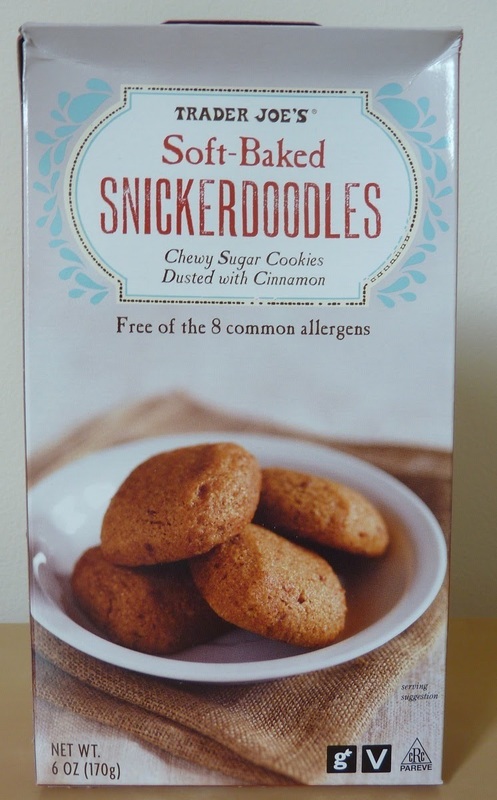 Back before I discovered Trader Joe's about 8 years ago, if someone would have tried to sell me on gluten-free, vegan snickerdoodles, I wouldn't have been even a little bit interested. Even as it stands, I have mad respect for Trader Joe's, but stuff that says "Free of the 8 common allergens" is still a gamble, regardless of where it's from, in my opinion. I thoroughly disagree with the people who answer the question "What's Good at Trader Joe's?" with "everything." If that were true, this blog would be entirely unnecessary. Be that as it may, if I had to put money on some brand—any brand—being capable of making something hypo-allergenic, relatively healthy, and really tasty, it would be on the Trader Joe's store brand. And whaddaya know? They did it again. These things are amazing. They are truly soft, reminiscent of something freshly-baked, especially if you microwave them for a few seconds. Bursting with near-homemade pastry tastes and textures, the ingredients of these cookies seem almost unbelievable: sorghum flour, dates, grapes, and apple and pear juices are at the top of the list. The cookies taste like cinnamon and brown sugar, with undertones of the aforementioned fruit juices. There's the tiniest bit of grittiness, but no more than a traditional snickerdoodle. 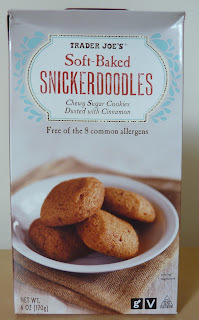 These are an unbelievable find for anyone, especially those with food allergies. If you're gluten-intolerant, these could very well be the best thing in your cupboard since gluten-free sliced bread. Sonia's even more enthused about them than I am. Another triumph for Trader Joe's and a must-try for people with sensitivities to wheat, milk, eggs, soy, or peanuts. Four and a half stars from me. Five stars from Sonia. I've had these, and yes, they are amazing. By far, one of my favorites. Not sure if we got a bad batch or what but the one time my wife and I tried these they were practically inedible. I didn't think they tasted like snickerdoodles. Not bad, just not snickerdoodle-y. Aren't these a knock off of the Enjoy Life brand?